Meet Maxamillian. 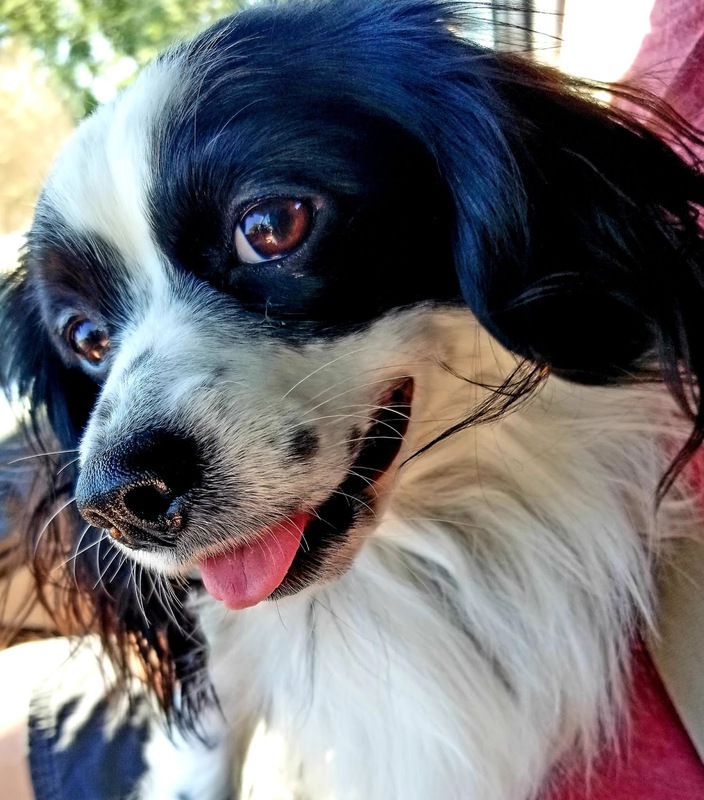 Max is our 13 pound Cocker Spaniel, Chihuahua and Jack Russell mix. He is a huge part of our lives. I literally have thousands of pictures of Max (THOUSANDS). I believe the above picture was from a trip to a local park. This picture is my absolute favorite. 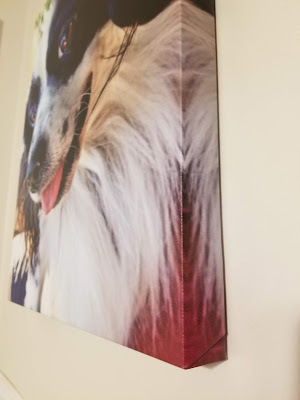 I have always wanted to get it made into a canvas, but I was overwhelmed when I tried to decide on where to get the canvas done. There are so many companies out there and some are really expensive. I have also been disappointed by a canvas in the past, but I can't remember the name of the company that did so. 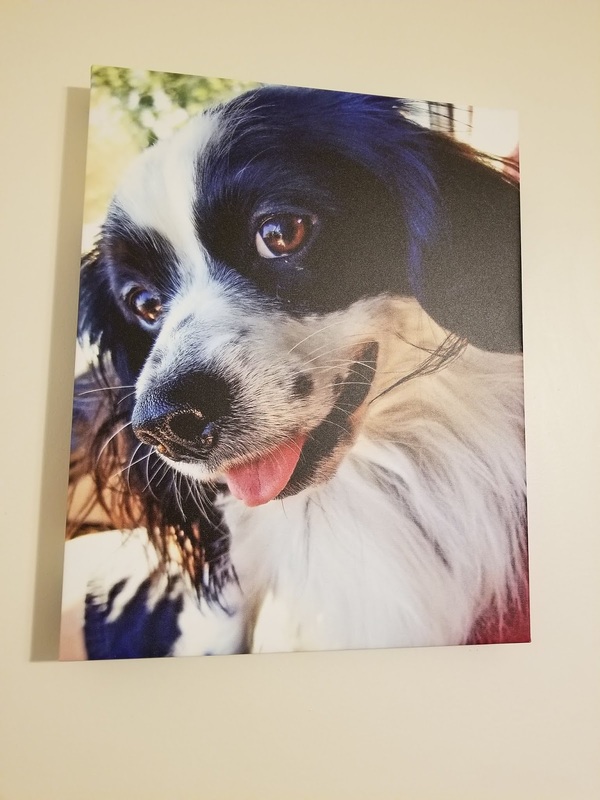 Canvas on the Cheap reached out to me to ask me if I would like to do a review of a canvas. Of course, I took them up on the offer. I had never used this company before, but I prayed that I would end up with a gorgeous canvas. 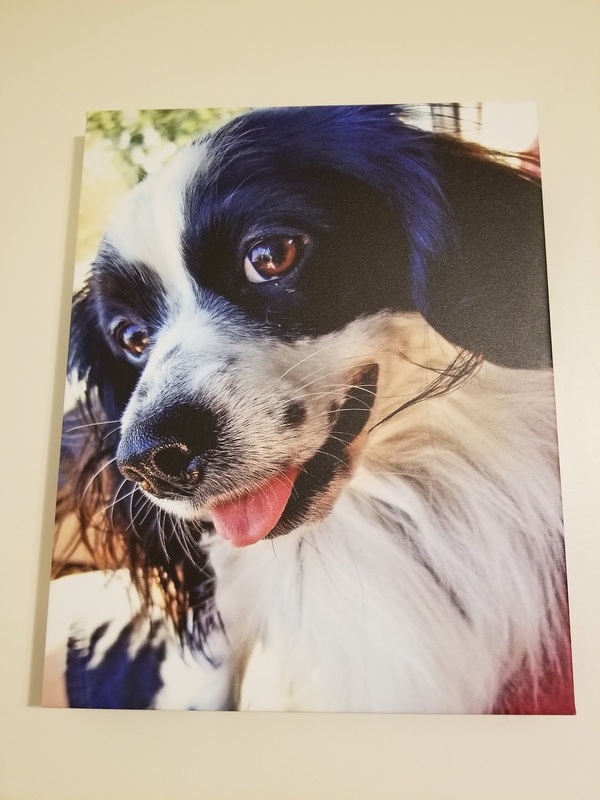 I ordered my canvas which was super easy (literally a few minutes). It looks JUST like the picture! The canvas is huge at 20" x 16". I picked a mirrored 1.5" gallery wrap. 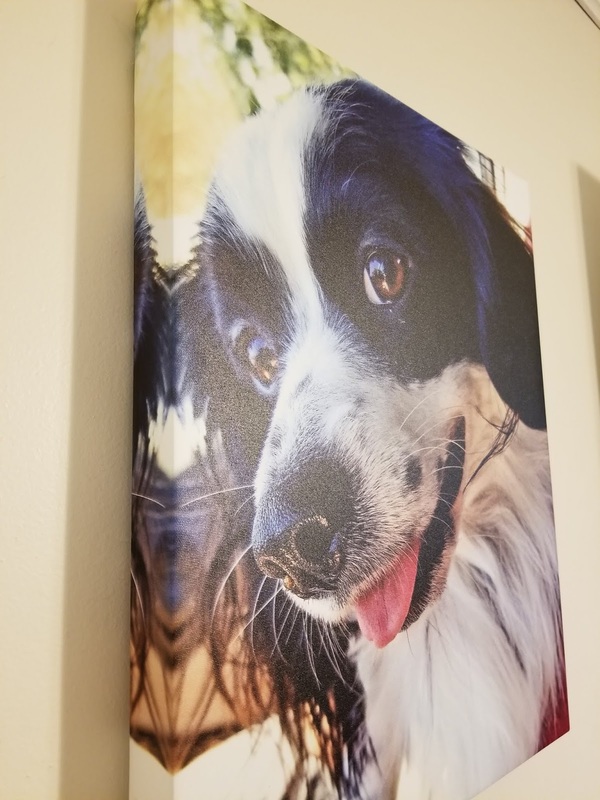 The 1.5 inch gallery wrap really makes the canvas pop off of the wall. It is a small fee to get the 1.5 inch wrap, but you can get the 0.75 inch gallery wrap for no charge. The canvas did have a few strings hanging from the back of it, but I just snipped them off with scissors. The front and sides of the canvas are perfect. 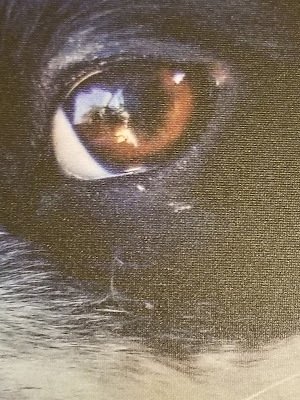 The picture above is a straight on view of the picture, but I have pictures from the side and a few close-ups too so that you can see the details. You can still see the reflection in his eye and the details of his different colored fur! You can see the 1.5 inch wrap and how it is mirrored on the side. I might be super biased, but this is one of the best looking canvases I have ever seen. So precious! I mean look at that nose and that tongue. What about those eyes? Ugg. He is adorable. Canvas on the Cheap was a really great and easy company to work with. They have great prices too! They are cheap enough that you can order a canvas for every family member for Christmas. They are going to be my go-to company from here on out for when I need a canvas. They have sizes ranging from 8" x 8" to 30" by 40". There are also a lot of options at checkout to individualize your canvas. Make sure you get your next canvas from them and come back here to let me know how much you love it. *This post is sponsored by Canvas on the Cheap. They provided me with a free canvas in exchange for an honest review. All words are my own. Canvas on the Cheap is responsible for providing a canvas to my giveaway winner. I was not compensated in any other way. I'd get a canvas of a family photo. We haven't had a good photo taken in a long time. I have beautiful sunflowers growing in my backyard, about 100. I would get my canvas to have them if I won. If I won, I'd like a photo canvas of the children in our family. I would put a picture of my grandsons on canvas. I would put a photo of my son's favorite pet. I would love to put my dog of 13 years on this. She just passed away and i miss her so much. I would give anything to have her back in my arms. I would do a picture of my three kids. Would use a family photo.